A 529 Plan can be a huge benefit in paying college expenses. However, this college savings account can be tricky to report on the FAFSA. If the account is in the student’s name or in the custodial parent’s name, then the 529 Plan should be reported as a parent asset on the FAFSA. If the student is independent, meaning s/he doesn’t have to report parental information, then the plan should be reported as a student asset. The plan doesn’t have to be reported as an asset if someone other than the student or custodial parent owns the account, such as a grandparent or family friend. A non-qualified distribution – funds taken from the account for non-educational expenses – will be included in the Adjusted Gross Income (AGI) of the student’s federal income tax return. The AGI will be a part of the student’s total income, so the student will just need to report his or her income on the FAFSA. A qualified distribution – funds taken from the account for educational expenses – should be reported as the student’s untaxed income on the FAFSA. 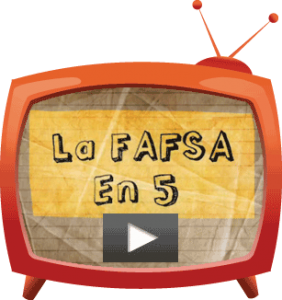 A distribution made from an account that the student or the custodial parent does not own must be reported as the student’s untaxed income on the FAFSA, as well. The best option for reporting a 529 Savings Plan is to leave the account in the student’s name or in the custodial parent’s name. By doing this, the Plan will be reported as an asset and the family won’t have to report distributions made from the account. 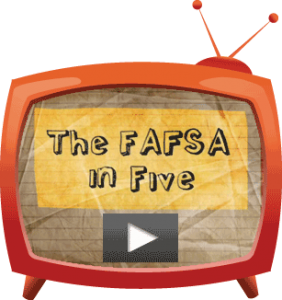 For more information on how to report the 529 Plan on the FAFSA, visit Edvisors.com/plan-for-college. 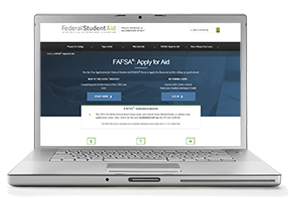 Previous PostAid Eligibility for Undocumented StudentsNext PostI’ve Submitted the FAFSA. Now What?